Tlaxcallan was a Late Postclassic period city-state, built beginning about 1250 AD on the tops and slopes of several hills on the east side of the Basin of Mexico near modern day Mexico City. It was the capital of a territory known as Tlaxcala, a relatively small polity (1,400 square kilometers or about 540 square miles), located in the northern portion of the Pueblo-Tlaxcala region of Mexico today. It was one of a few stubborn hold outs never conquered by the powerful Aztec Empire. It was so stubborn that Tlaxcallan sided with the Spanish and made the overthrow of the Aztec empire possible. The Texcalteca (as the people of Tlaxcala are called) shared technology, social forms and cultural elements of other Nahua groups, including the origin myth of Chichemec migrants settling central Mexico and the adoption of farming and culture of the Toltecs. But they viewed the Aztec Triple Alliance as a dangerous enemy, and fiercely resisted the placement of an imperial apparatus into their communities. By 1519, when the Spanish arrived, Tlaxcallan held an estimated 22,500-48,000 people in an area of just 4.5 square kilometers (1.3 square miles or 1100 acres), with a population density of about 50-107 per hectare and domestic and public architecture covering about 3 sq km (740 ac) of the site. Unlike most Mesoamerican capital cities of the era, there were no palaces or pyramids at Tlaxcallan, and only a relatively few and small temples. In a series of pedestrian surveys, Fargher et al. found 24 plazas dispersed around the city, ranging in size from 450 to 10,000 square meters--up to about 2.5 acres in size. The plazas were designed for public use; some small low temples were created at the edges. None of the plazas seems to have played a central role in the life of the city. Each plaza was surrounded by terraces on top of which were built ordinary houses. Little evidence of social stratification is in evidence; the most labor-intensive construction in Tlaxcallan is that of the residential terraces: perhaps 50 kilometers (31 miles) of such terraces were made in the city. The main urban zone was divided into at least 20 neighborhoods, each focused on its own plaza; each one was likely administered and represented by an official. Although there is no governmental complex within the city, the site of Tizatlan, located about 1 km (.6 mi) outside of the city across unoccupied rugged terrain may have acted in that role. Tizatlan's public architecture is the same size as the Aztec king Nezahualcoyotl's palace in Texcoco, but instead of the typical palace layout of small patios surrounded by large numbers of residential rooms, Tizatlan is made up of small rooms surrounded by a massive plaza. Scholars believe it functioned as a central place for the pre-conquest territory of Tlaxcala, serving as many as 162,000 to 250,000 persons dispersed throughout the state in about 200 small towns and villages. Tizatlan had no palace or residential occupation, and Fargher and colleagues argue that the location of the site outside of town, lacking residences and with little rooms and big plazas, is evidence that Tlaxcala functioned as an independent republic. The power in the region was placed in the hands of a ruling council rather than a hereditary monarch. Ethnohistoric reports suggest that a council of between 50-200 officials governed Tlaxcala. How Did They Maintain Independence? The Spanish conquistador Hernán Cortés said the Texcalteca kept their independence because they lived in freedom: they had no ruler-centered government, and the society was egalitarian compared to much of the rest of Mesoamerica. And Fargher and associates think that's right. Tlaxcallan resisted incorporation into the Triple Alliance empire despite being completely surrounded by it, and despite numerous Aztec military campaigns against it. Aztec attacks on Tlaxcallan were the among the bloodiest of battles waged by the Aztecs; both early historical sources Diego Muñoz Camargo and the Spanish inquisition leader Torquemada reported stories about the defeats that pushed the last Aztec king Montezuma to tears. 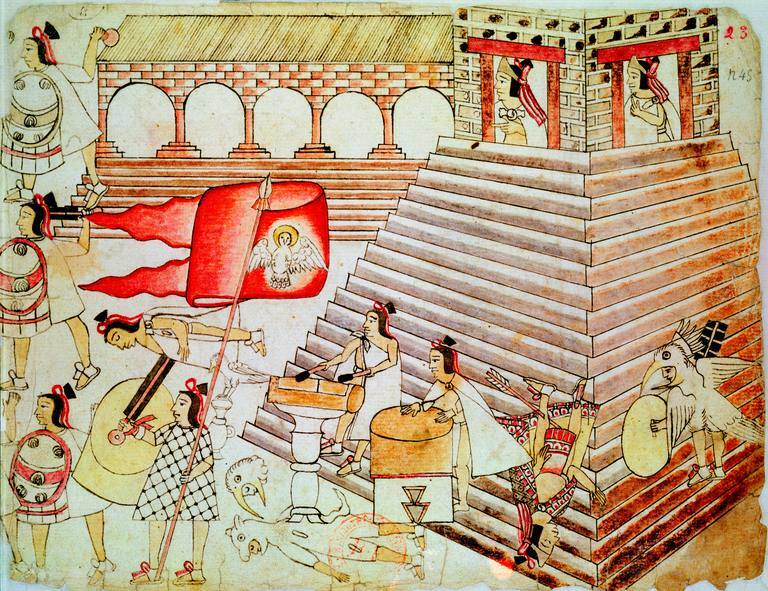 Despite Cortes' admiring remarks, many ethnohistoric documents from the Spanish and Native sources state that the continued independence of the Tlaxcala state was because the Aztecs allowed their independence. Instead, the Aztecs claimed they purposefully used Tlaxcallan as a place to provide military training events for Aztec soldiers and as a source for obtaining sacrificial bodies for imperial rituals, known as the Flowery Wars. There is no doubt that the ongoing battles with the Aztec Triple Alliance were costly to Tlaxcallan, interrupting trade routes and creating havoc. But as Tlaxcallan held its own against the empire, it saw an enormous influx of political dissidents and uprooted families. These refugees included Otomi and Pinome speakers fleeing imperial control and warfare from other polities who fell to the Aztec empire. The immigrants augmented Tlaxcala's military force and were fiercely loyal to their new state. Tlaxcallan Support of the Spanish, or Vice Versa? The main story line about Tlaxcallan is that the Spanish were able to conquer Tenochtitlan only because the Tlaxcaltecas defected from the Aztec hegemony and threw their military support behind them. In a handful of letters back to his king Charles V, Cortes claimed that the Tlaxcaltecas became his vassals, and that they were instrumental in helping him defeat the Spanish. But is that an accurate description of the politics of the Aztec fall? Ross Hassig (1999) argues that the Spanish accounts of the events of their conquest of Tenochtitlan are not necessarily accurate. He argues specifically that Cortes' claim that the Tlaxcaltecas were his vassals is disingenous, that in fact they had very real political reasons to support the Spanish. By 1519, Tlaxcallan was the only polity left standing: they were completely surrounded by the Aztecs and saw the Spanish as allies with superior weapons (cannons, harquebuses, crossbows and horsemen). The Tlaxcaltecas could have defeated the Spanish or simply withdrawn when they appeared in Tlaxcallan, but their decision to ally with the Spanish was a savvy political one. Many of the decisions made by Cortes--such as the massacre of the Chololtec rulers and selection of a new noble to be king--had to have been plans devised by Tlaxcallan. After the death of the last Aztec king, Montezuma (aka Moteuczoma), the remaining true vassal states to the Aztecs made the choice to support them or throw in with the Spanish--most chose to side with the Spanish. Hassig argues that Tenochtitlan fell not as a result of the Spanish superiority, but at the hands of tens of thousands of angry Mesoamericans. 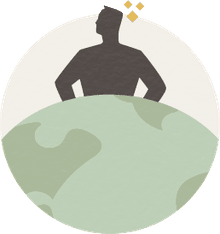 This article is a part of the About.com guide to the Aztec Empire, and the Dictionary of Archaeology. Carballo DM, and Pluckhahn T. 2007. Transportation corridors and political evolution in highland Mesoamerica: Settlement analyses incorporating GIS for northern Tlaxcala, Mexico. Journal of Anthropological Archaeology 26:607–629. Fargher LF, Blanton RE, and Espinoza VYH. 2010. Egalitarian ideology and political power in prehispanic central Mexico: the case of Tlaxcallan. Latin American Antiquity 21(3):227-251. Fargher LF, Blanton RE, Heredia Espinoza VY, Millhauser J, Xiuhtecutli N, and Overholtzer L. 2011. Tlaxcallan: the archaeology of an ancient republic in the New World. Antiquity 85(327):172-186. Hassig R. 1999. War, politics and the conquest of Mexico. In: Black J, editor. War in the Early Modern World 1450-1815. London: Routledge. p 207-236. Millhauser JK, Fargher LF, Heredia Espinoza VY, and Blanton RE. 2015. The geopolitics of obsidian supply in Postclassic Tlaxcallan: A portable X-ray fluorescence study. Journal of Archaeological Science 58:133-146.
Who Were the Aztecs and Where Did They Live?